So it looks like Nokia Music won't be merged with Xbox Music after all - the service was just updated with a new name and look. It's been rebranded as Nokia MixRadio. The app has a new focus on personalized radio, as is evident from its new name. Like Nokia Music before it, the new Nokia MixRadio is a streaming music service not unlike Spotify and Pandora, but with no ads - even in the free version. Nokia MixRadio also has a new feature called "Play Me." It's described as "a constant stream of music created just for you," and users can give songs a thumbs up or thumbs down so it learns what type of music they like. The Nokia MixRadio app's page in the Windows Phone store promises that the app still includes the features Nokia Music users are used to, including "my music, mp3 store, create a mix, gigs and offline playback." Users who want to pay a small subscription fee can still get unlimited skips and offline playback. The new app also lets users share their mixes on Facebook, Twitter or via SMS and features bug fixes, and the browser version has been recently updated as well. Nokia MixRadio sounds like a great free option for listening to music, but keep in mind it's only available on Nokia Lumia devices and in certain countries (check the app listing if you're curious). 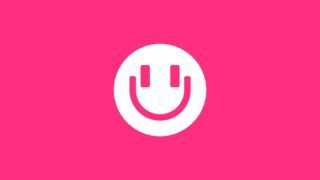 Will Nokia MixRadio invade iOS and Android devices soon?